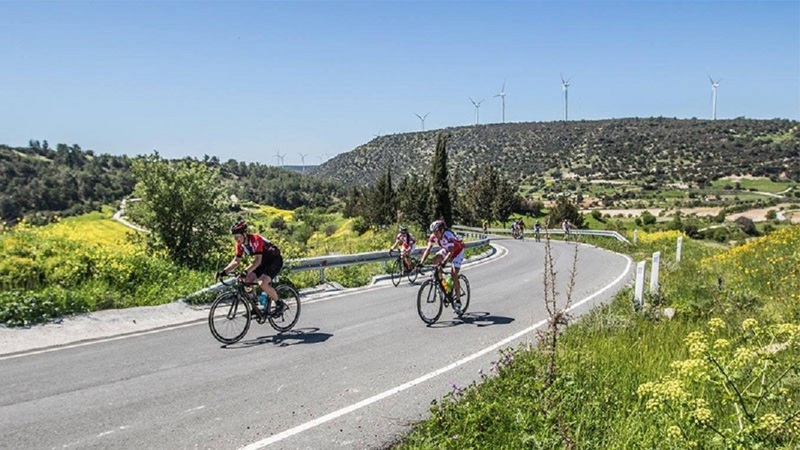 The 2020 Skoda Gran Fondo Cyprus is a 3-day Road “Cycling for All” event that will take place in Cyprus during the last weekend of March 2020 for the 9th consecutive year. 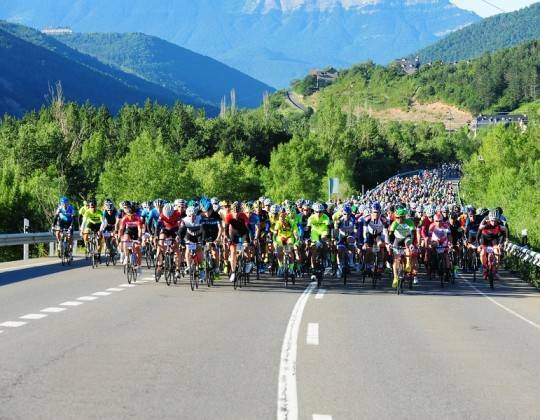 You have the opportunity to qualify for the 2020 UCI Gran Fondo World Championships on the ITT on Stage 1 and then for the road race on stages 2 and 3 so you will have 2 opportunities to qualify. 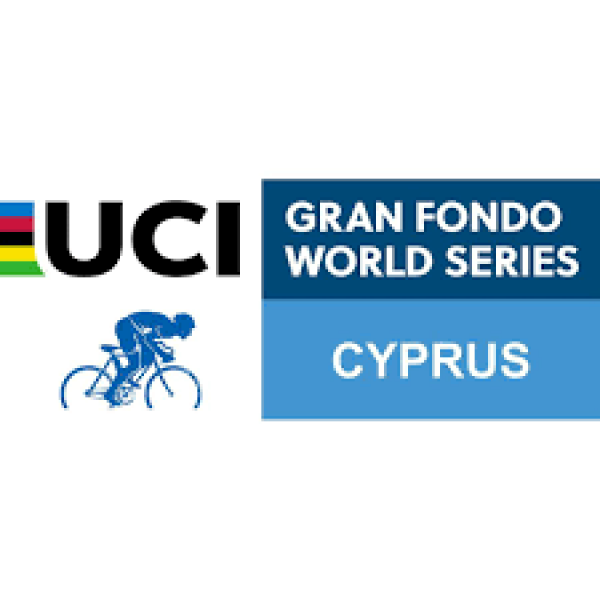 We are pleased to offer guaranteed entry into the Cyprus Gran Fondo 2020. 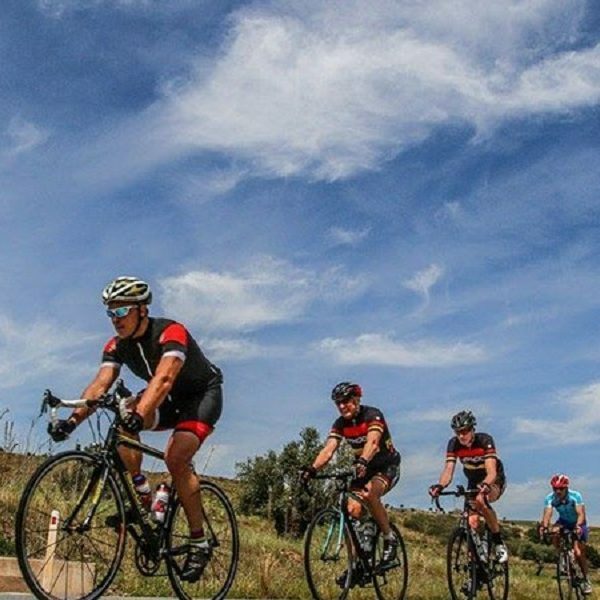 Our travel package includes the services of our bike guide, airport transfers from Pafos airport and 4, 5 or 6 nights at the 5 star hotel Almyra in Pafos. Breakfasts and evening meals are also included. 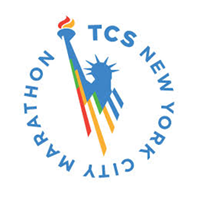 Sign up for news on the 2018 event! 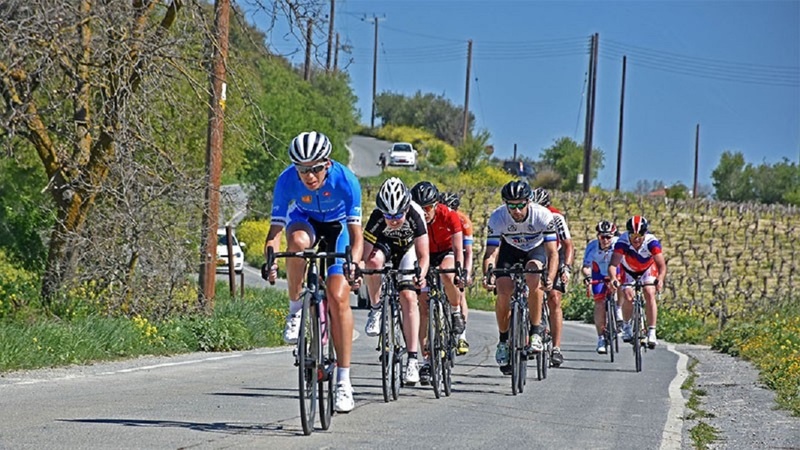 Climb the nicest Cyprus Mountains and enjoy the Cyprus weather and nature. 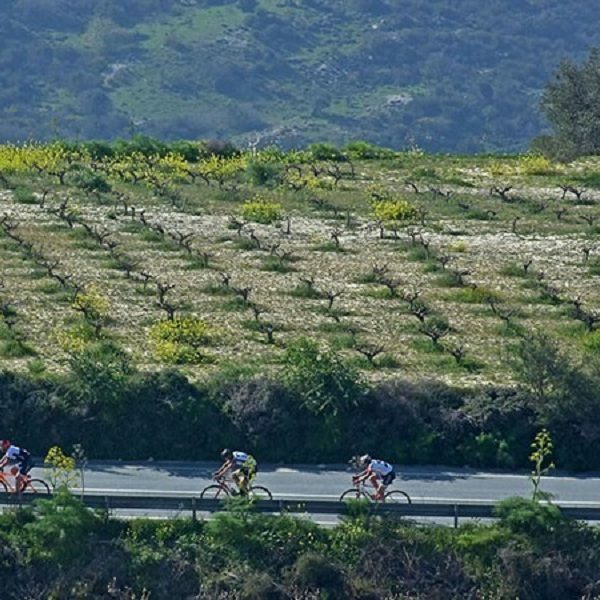 Spring in Cyprus is when Cyprus is at its best. 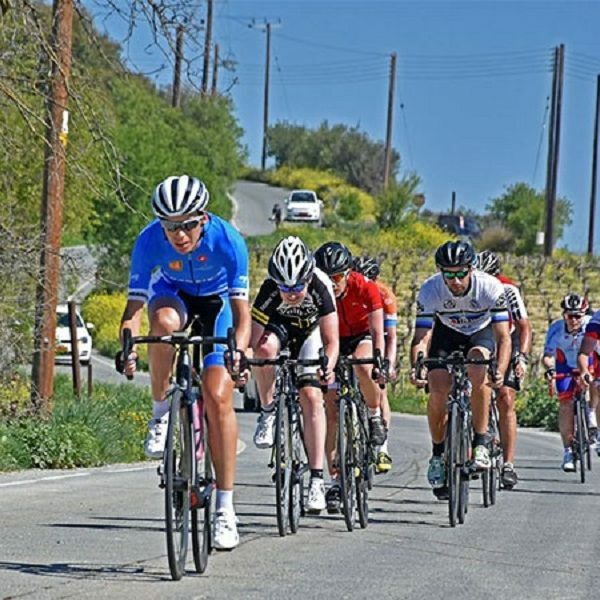 There tends to be a cool breeze, the sun is bright but not too hot so an excellent time of year for the Cyprus Gran Fondo powered by Volkswagen! 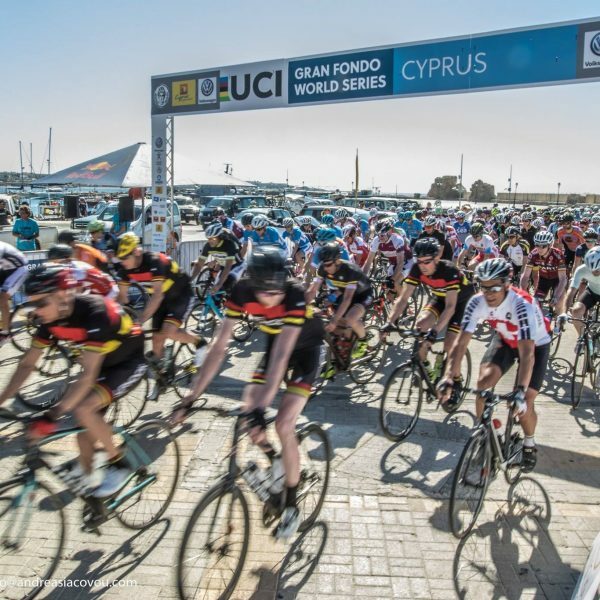 The Cyprus Gran Fondo is a 3-day Road “Cycling for All” event, which, since 2017, is featured among the biggest cycling events of the UCI Gran Fondo World Series for cyclists ranging from pros to beginners. 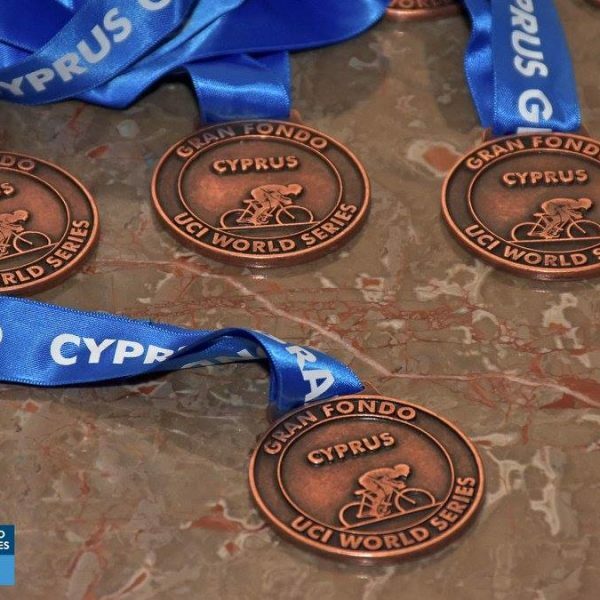 All participants of Cyprus Gran Fondo will have the opportunity to earn their qualification in the Gran Fondo World Championship and represent their country. 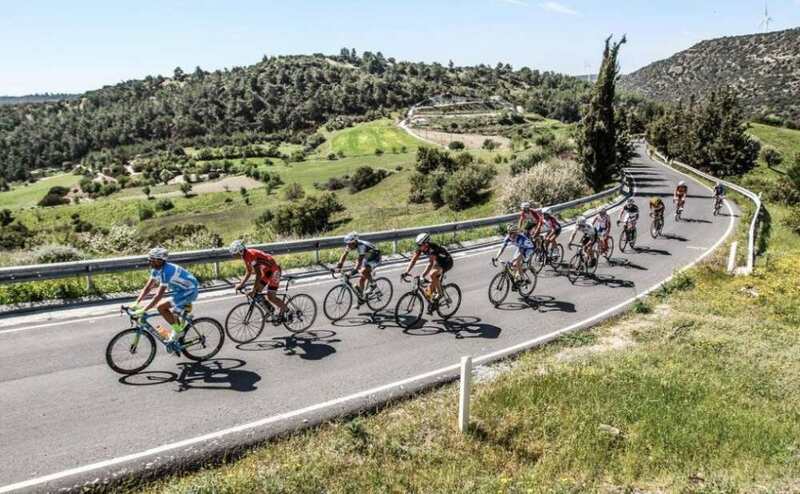 Our travel package to the 2020 Cyprus Gran Fondo includes airport transfers for you, your bike and luggage, a 4-night stay with breakfasts and evening meals included at the excellent 5* hotel Almyra, support from our local team and in-resort transport. 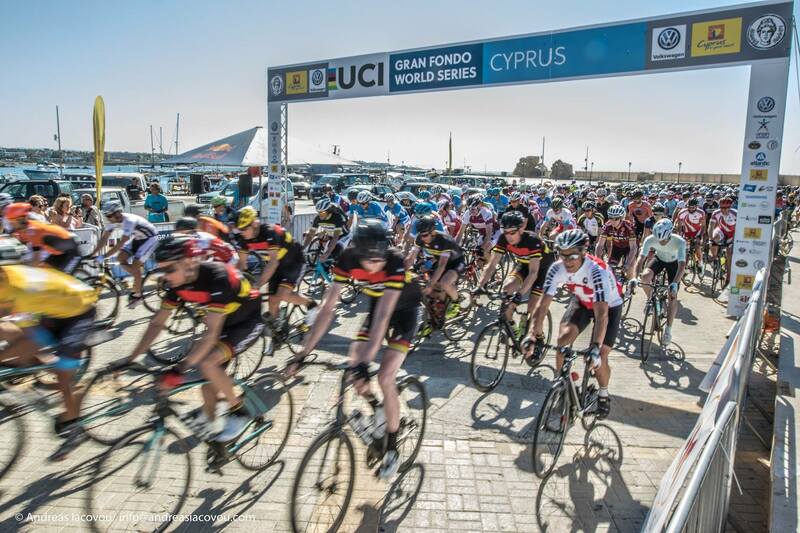 The Cyprus Gran Fondo is part of the UCI Gran Fondo World Series. 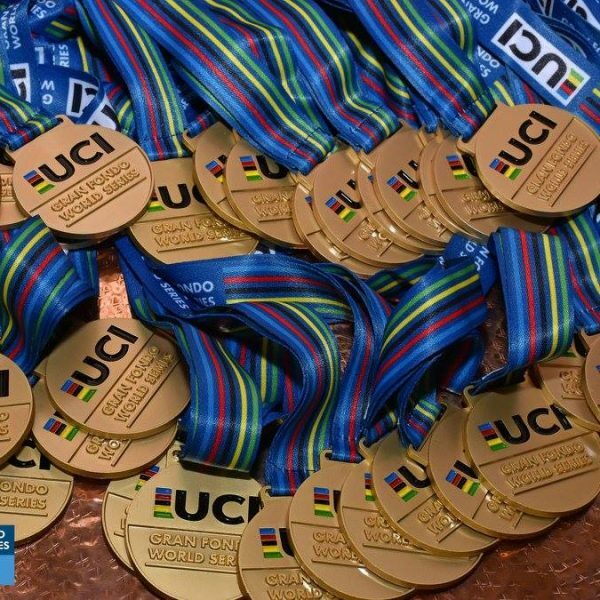 Each UGFWS event will allow participants to win qualification for the UCI Gran Fondo World Championships which will take place in Poznan, Poland in September 2019. 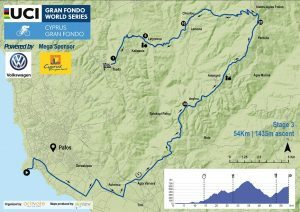 By the end of each race, the first 25% athletes of each age category from a combined classification of the “Expert” and “Sportive” groups will be awarded with guaranteed entry to the Gran Fondo World Championships and will therefore be able to race for the World Champion title. 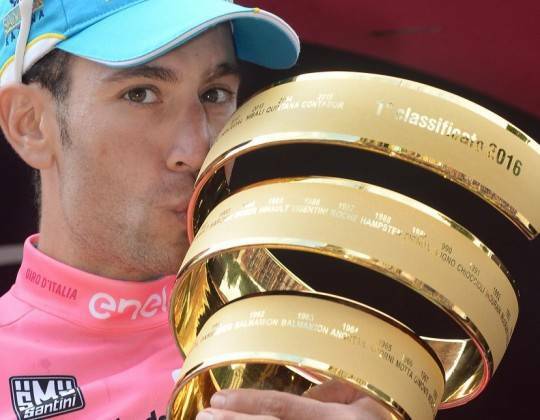 The first day will give you the chance to qualify for the Individual Time Trial World Championships whereas the following two days will give you two separate chances (one in every stage) to qualify for the Road Race World Championships. 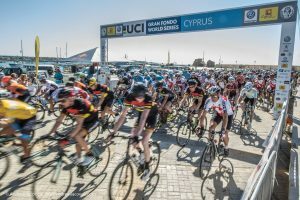 Riders with UCI points are not eligible to qualify. 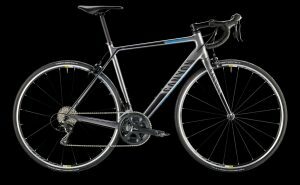 All bikes will be delivered to you on arrival and include Included: two bottle holders, flat pedals, 3 spare tubes (€6 each if used), pump and tyre levers. Please bring your own pedals but you can also rent some locally. Pedals: Look Keo (€7 per rental), Shimano 105 pedals (€7 per rental), Shimano MTB (€7 per rental). 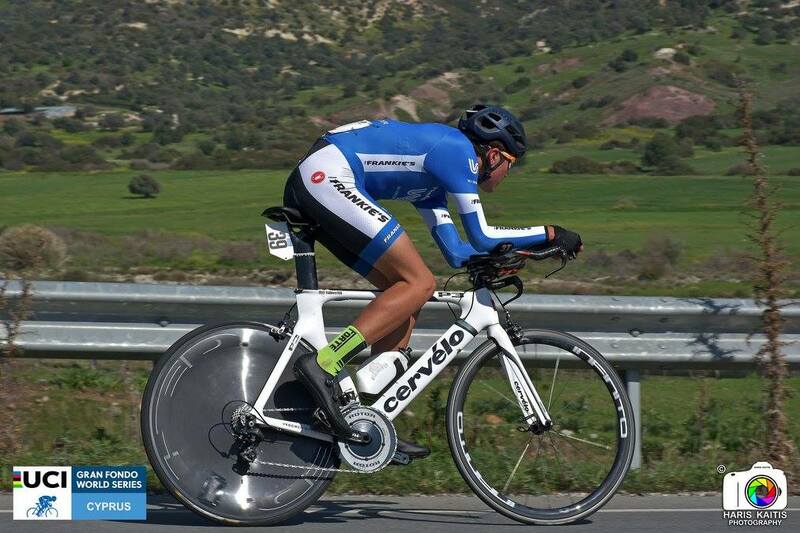 Garmin sensor: Speed/cadence (€10 per rental). Extra: Bottle (€5). 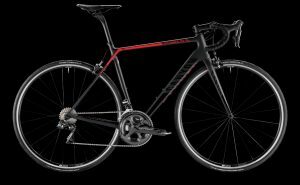 Below prices are for 4 days rental. Extra days on request. 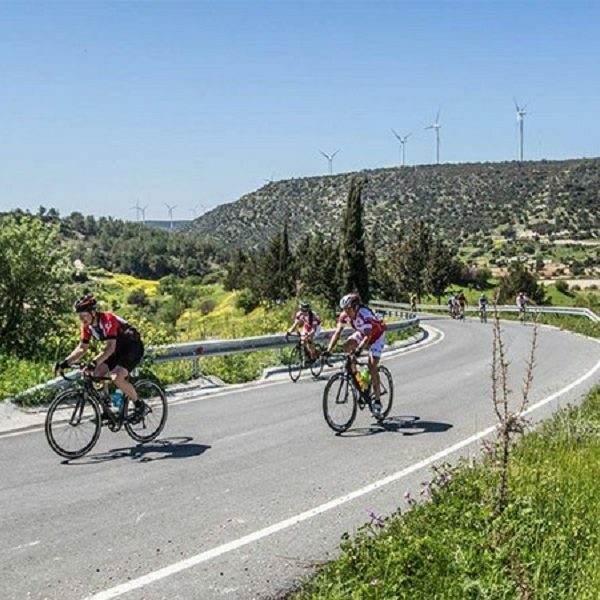 Starting every day next to the Mediterranean coast, you will climb some of the nicest mountains of the island and pass through traditional and rustic villages, and then return back to some of the best hotels in Paphos to enjoy your off-the-bike time! 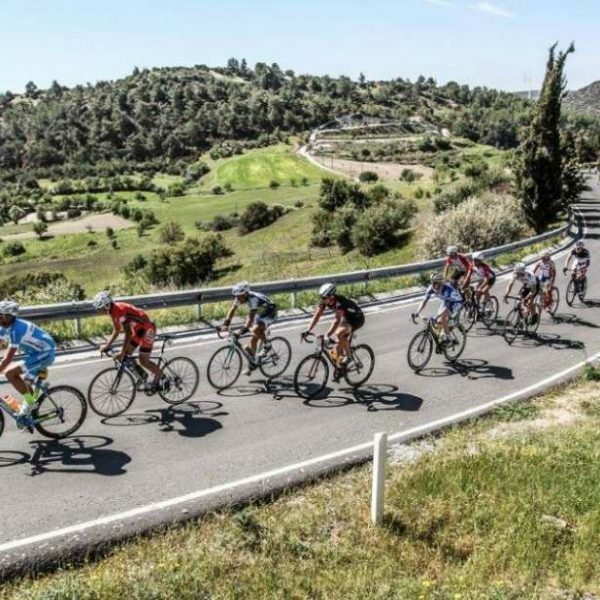 Starting every day next to the Mediterranean coast, climbing some of the nicest mountains of the island and passing through many traditional villages, it offers the participants an unforgettable experience. 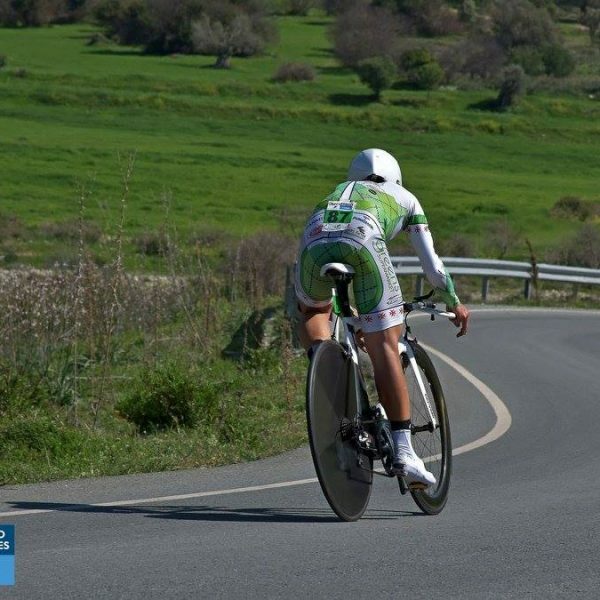 It is this compactness of Cyprus that gives a unique experience to a cyclist who wants to have everything in just one ride! We will give you this experience every day, for three consecutive days! Paphos, a small picturesque town is situated on the west coast of Cyprus and stretches from the beautiful Akamas peninsula in the north-west across to Aphrodites rock in the east. It is steeped in history having been the capital of Cyprus in certain ancient times and it attracts thousands of visitors every year. In Paphos there are innumerable sites of historical, religious and cultural interest and it is included in UNESCOs list of World Cultural Heritage sites. The Tombs of the Kings, the Medieval fort, the Odeon, the House of Dionysos, Aphrodites Rock and the Baths of Aphrodite as well as Saint Paul’s pillar are but a few of these sites. The operation of an international airport with connections to many major cities of the world has made Paphos very accessible. Also a good new motorway links Paphos easily and safely to all the other towns. Bordered by a beautiful coastline, the Paphos area has charming villages in its mountains with centuries-old monasteries nestling in them. The town centre however, is modern with trendy shops, an interesting traditional market and good museums. 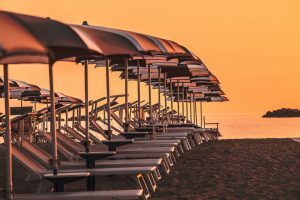 You will find Paphos to be a charming resort, safe and pleasant with plenty to see and do, one that will soon become a firm favourite when it comes to holiday destinations. Cyprus may be a country with roots deep in its rich and varied past but it is a modern country heading fast into the future. It is an island of many beautiful contradictions, a warm blend of cultures, colours, civilisations, songs and myths. We invite you to come and savour hospitality on the island where, in our mother tongue the word xenos means both stranger and guest. Come and discover an island whose beauty and charm is magnified by the kindness of its people. Come and discover Cyprus. 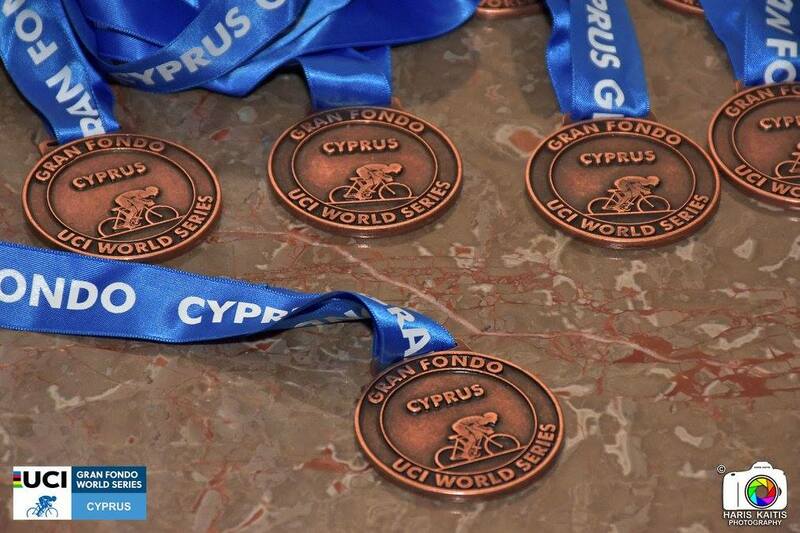 Please make your way to our hotel today; the excellently located 5 star Almyra Hotel in Pafos. Alternatively we offer airport transfers from Pafos airport to connect today. 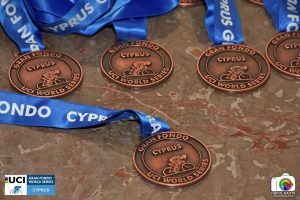 On arrival at the hotel in Pafos, our local staff will assist you with building your bikes and in the evening over the evening meal our bike guide will go over the weekend’s itinerary. 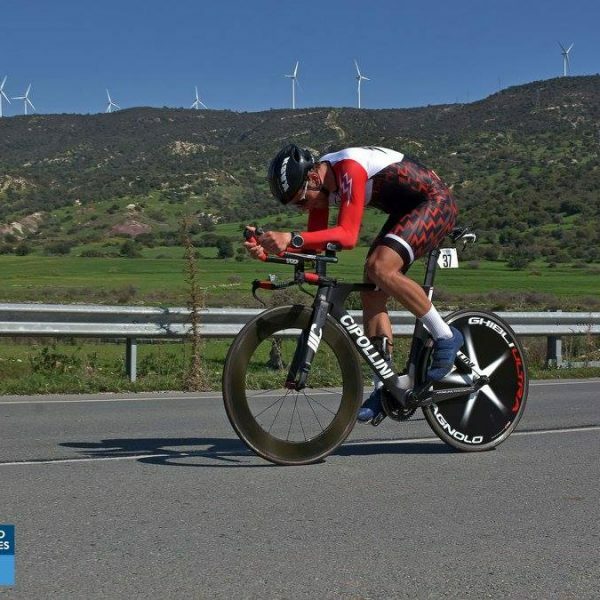 The Individual time trial (for the Expert group only), will take place in the Diarizos Valley, one of the most fascinating routes in Cyprus. 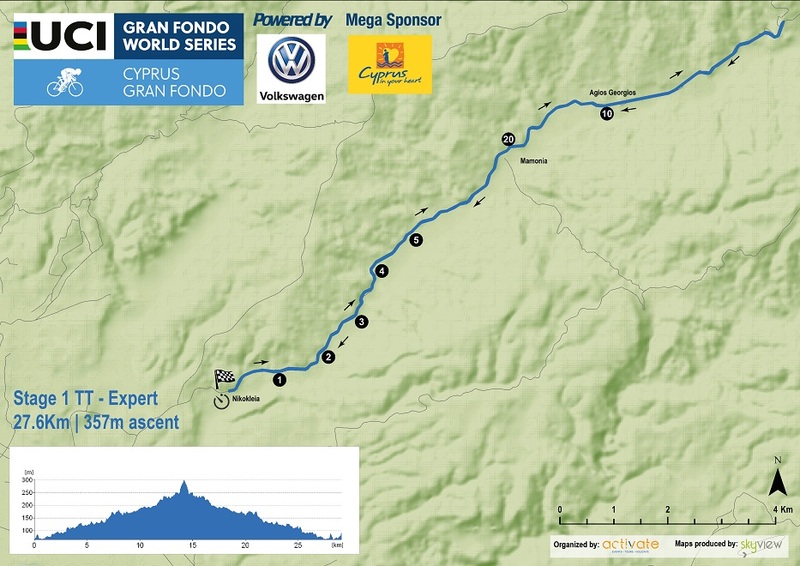 The first part of the 28km route is quite flat with some short rolling hills but the second part (returning back to the start line) is very fast with high speed flat sections and less uphill than the first part. 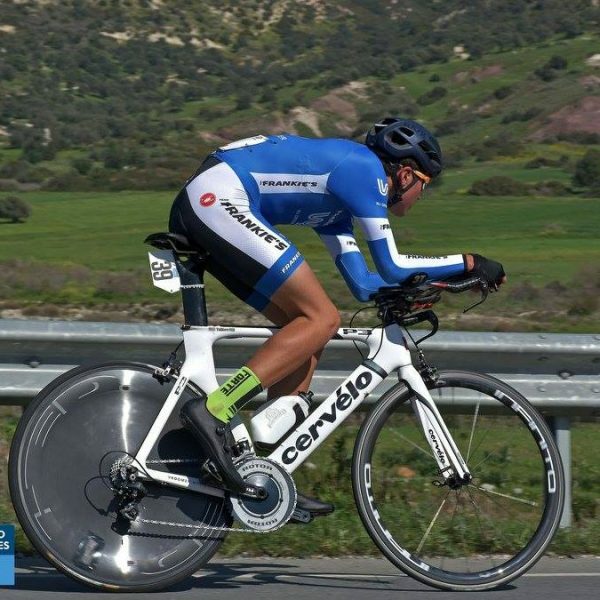 A proper TT bike with aero frame will get you the best results. 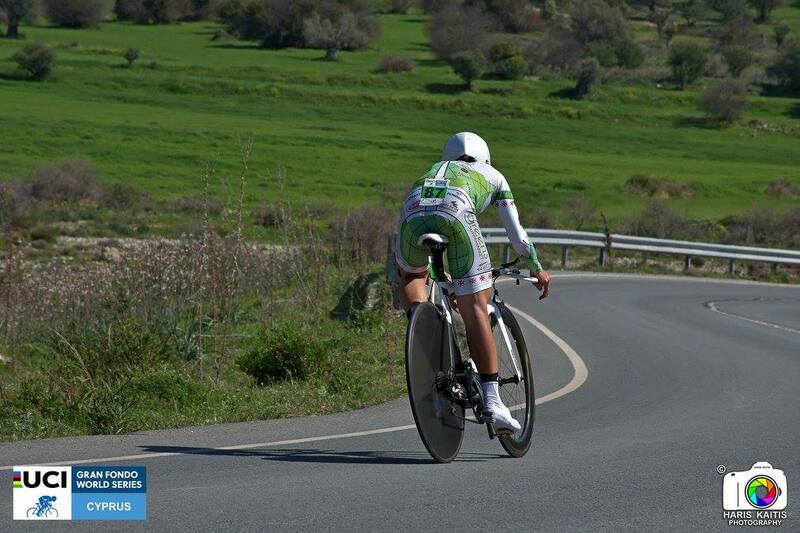 The race starts from Pafos Medieval castle with a neutralised section up to the village of Kouklia. 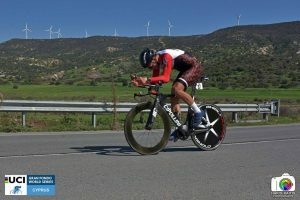 There we have a stop of 10 minutes for rehydration and some fruit and snacks before we head towards Limassol. 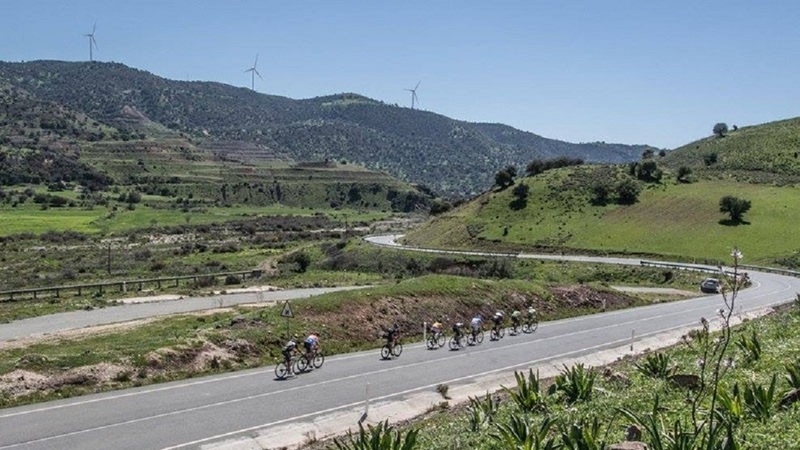 The timed section starts at 21km as soon as we enter the B6 road direction to Limassol, so from our stop in Kouklia until the main road (1km) the group speed will be controlled by the race director. The timed section route leads to Kourion Amphitheatre and archeological site where we will turn round. 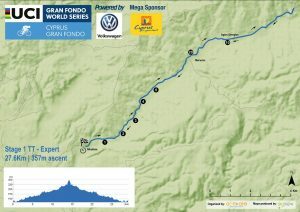 From there we follow the return route to Kouklia and the finish. 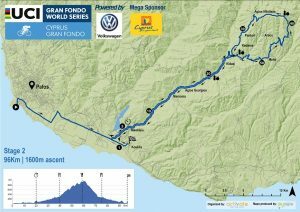 The last 800m are uphill of average 7% with sections of 8.5% incline. 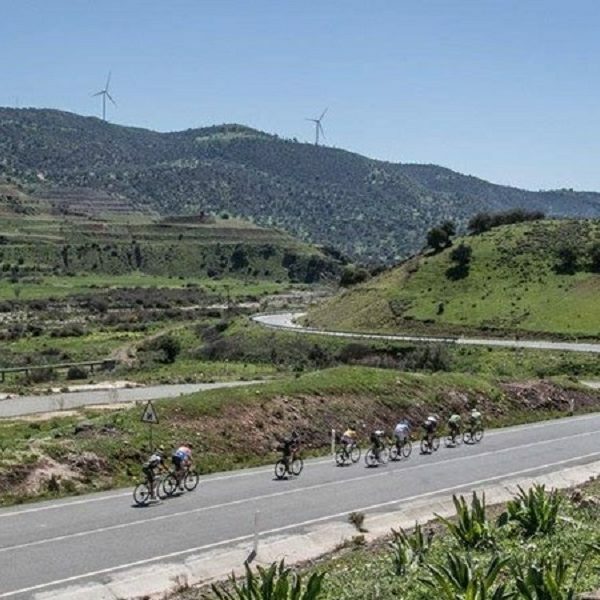 The Queen stage starts in front of Pafos castle and after a 15km neutralised section, the timing starts near Nikoklia village (flying start) and continues along the river in Diarizos valley, one of the most beautiful valleys in Cyprus. After the small village of Kidasi you will escape from the main road and enter the old road towards the ruins of Trozena village. 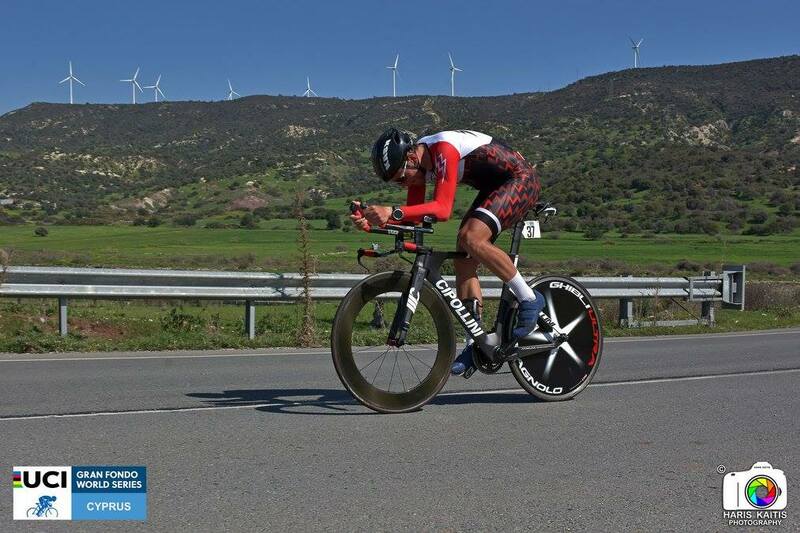 This is where you and your bike will be first tested, along a 2km rough terrain in the middle of this uphill section! 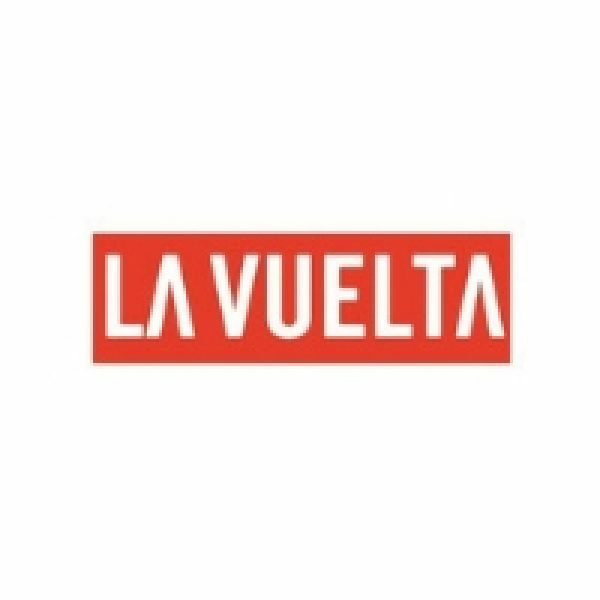 At 46 km you have a short flat and descending section where you can recover and get ready to tackle the next uphill towards Vasa village. 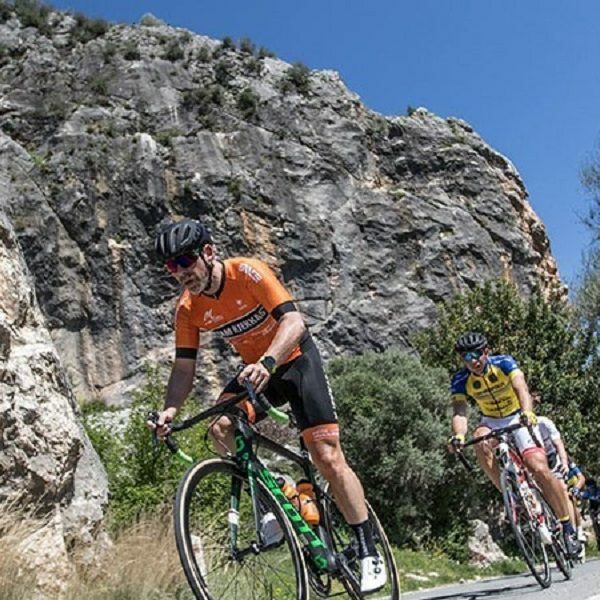 After 57km in the race, comes the hardest uphill of the day, the road from Omodos towards Agios Nicolaos through “kremmos tis Laonas” area. On your right you will be able to see Mount Olympus which is the highest peak in Cyprus. From km 60 onwards life is again beautiful and by now you understand again why you do this! Nice small village roads, traditional villages and most important lots of descending will lead you to the finish. 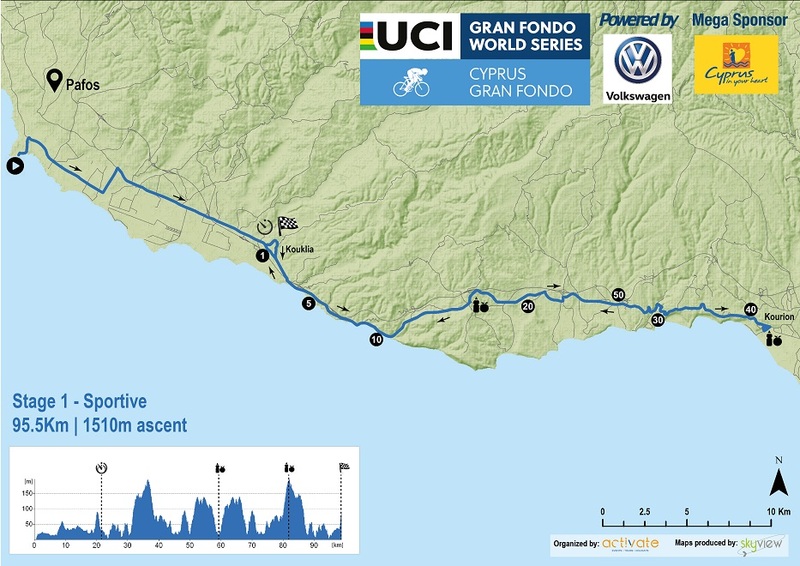 Stage 3 is a qualifier event for the UCi Gran Fondo World Series and it will include more climbing compared to previous years and of course a completely different route! 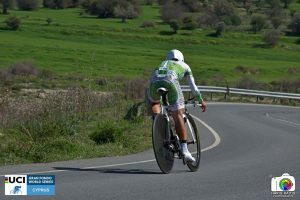 Starting as always in front of the Pafos castle and riding east until Ag.Varvara village where we will have a flying start of the timing section and this is also where the climbing starts. 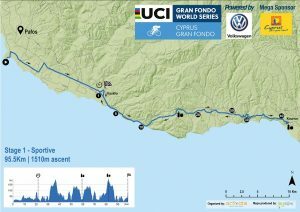 All uphill sections average 5.5 – 6% with an exemption of a shorter hill at the 29th km from the start which averages 9% for 700m. From that point onwards you are already 550m above sea level and enjoying the scenery of Ezousa’s valley. 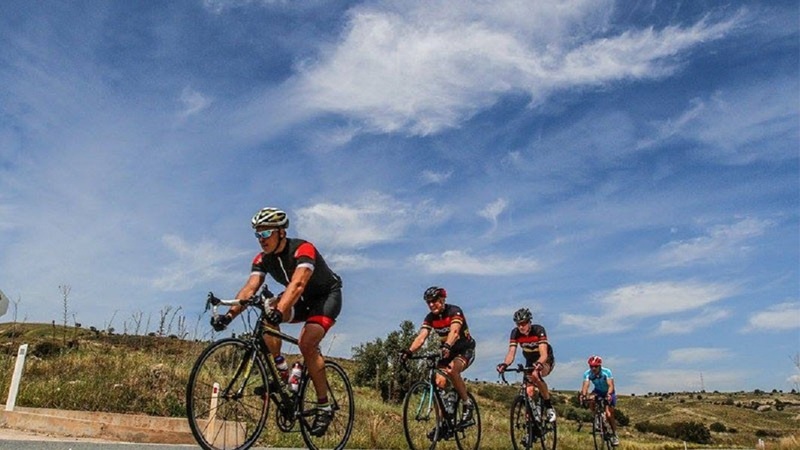 The Xeros potamos valley on your right will take your mind away from the pain! 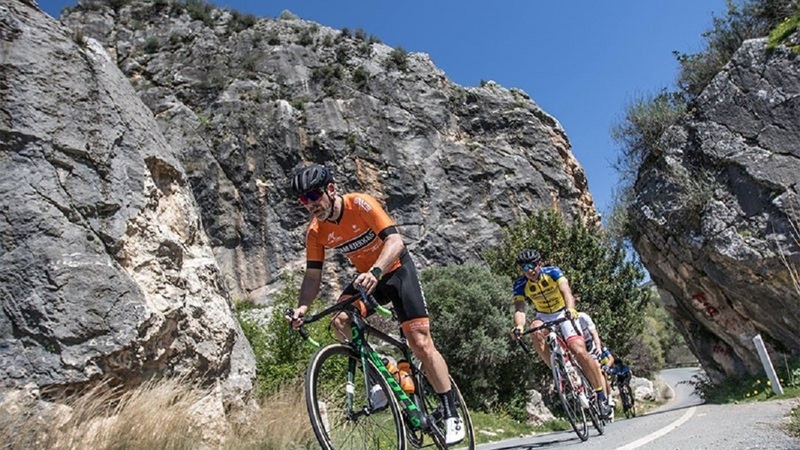 Once you have reached the first peak, before Statos – Agios Fotios village, you are now descending in one of the most pleasant descents of the area. 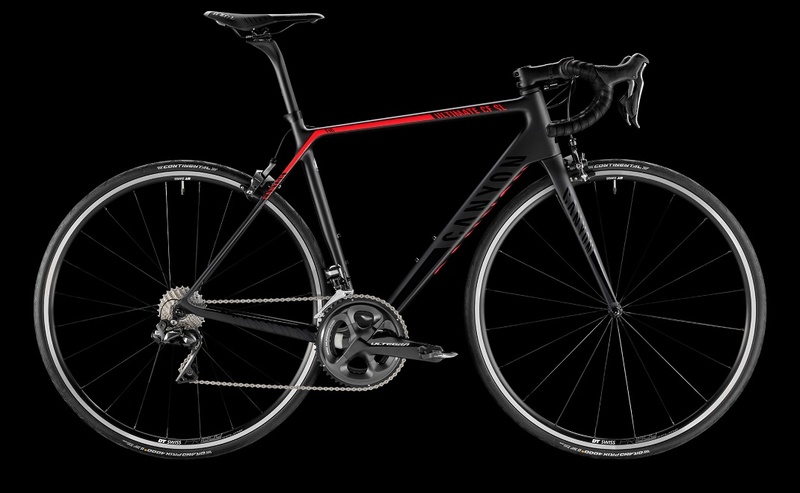 Occasionally you will ride on the ridge of the mountain and in other sections you will ride between deep cliffs. 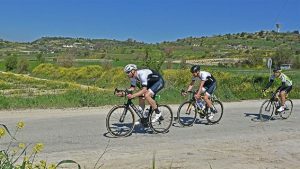 The descent to Choulou village is where you need to be a bit more careful. Choulou is a small village with a nice coffee shop in the centre where you always feel welcome for a coffee and a snack. From Choulou to Letymbou you have one shorter hill to overcome before descending again in in Letymbou village where the last feed zone will be located. 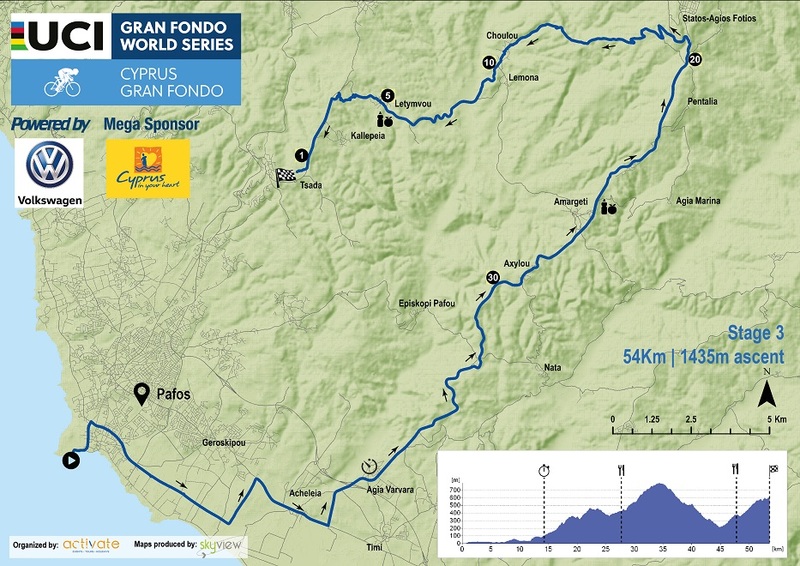 From Letymbou you start ascending on a 3km long uphill towards Kallepia and the finish village of Tsada (same as in 2018). 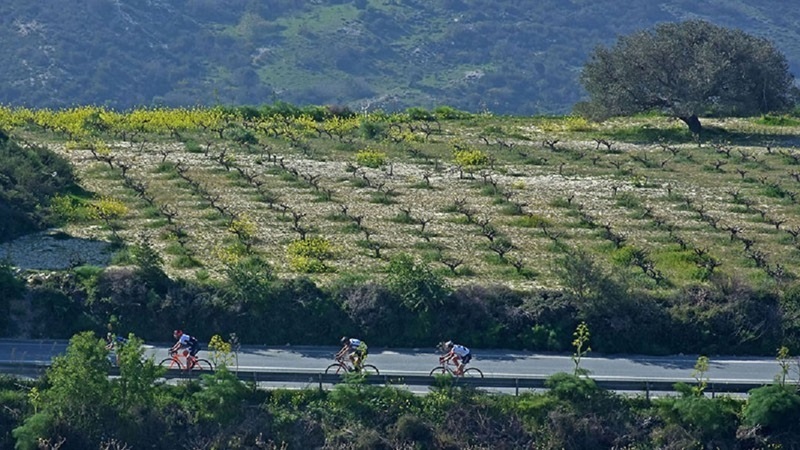 As all good things come to an end, so is your 3-day trip in the beautiful area of Pafos. 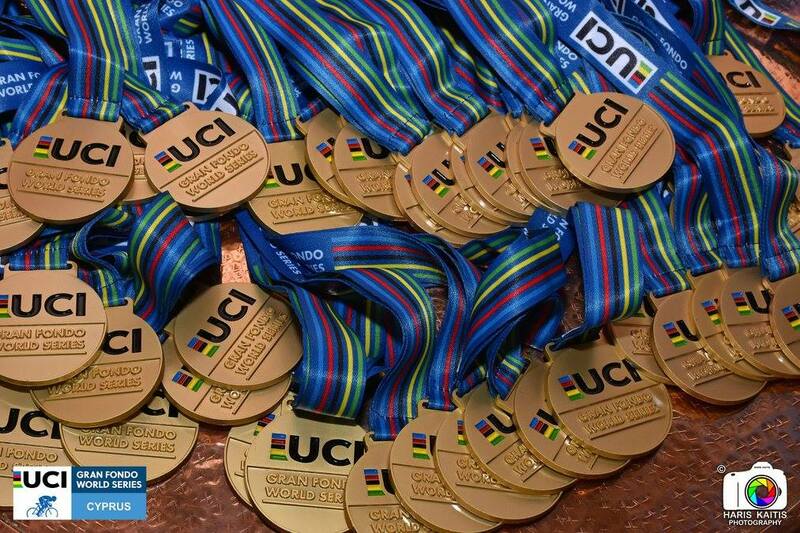 We are sure that you are tired but you have just accomplished one more targets as a cyclist! 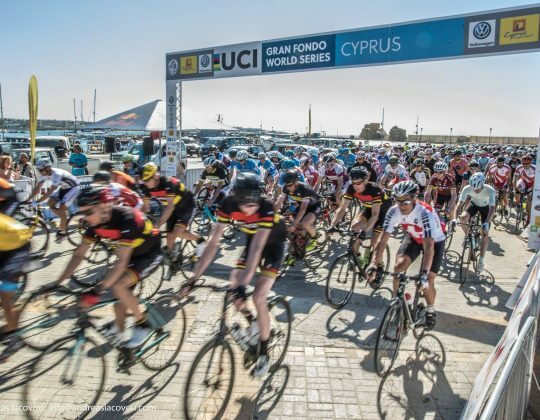 Congratulations, Cyprus Grand Fondo 2019 is behind you with a successful finish in Tsada. Today we provide return airport transfers throughout the day. 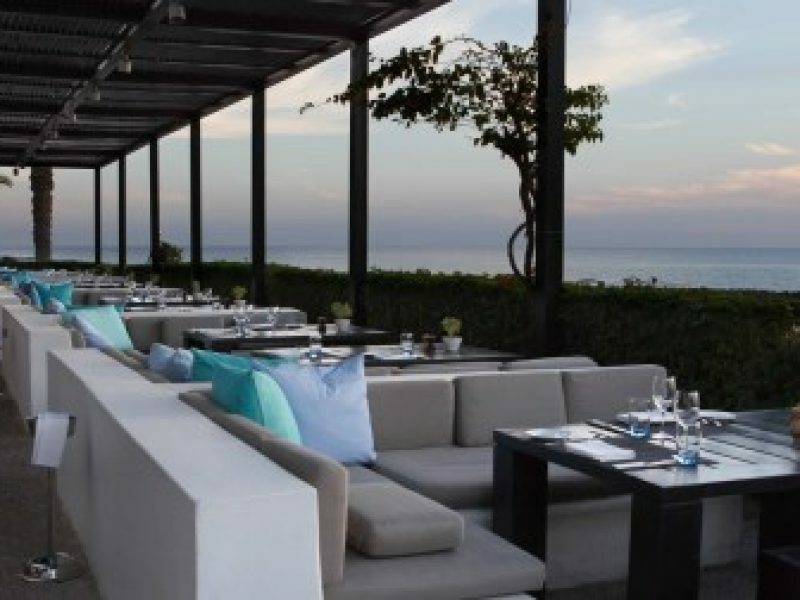 Almyra Hotel is just a 5-minute walk away from Paphos Harbour and set in tropical gardens overlooking the Mediterranean Sea . It offers rooms with free Wi-Fi, 4 freshwater pools and a spa. Almyra’s air-conditioned rooms are spacious and come with either floor-to-ceiling windows, balconies or terraces overlooking the garden or the Mediterranean Sea. The rooms have satellite TV, a minibar and safe. The hotel’s spa offers holistic treatments and massage, together with a sauna and gym. The Almyra serves certified Cypriot breakfast each morning. 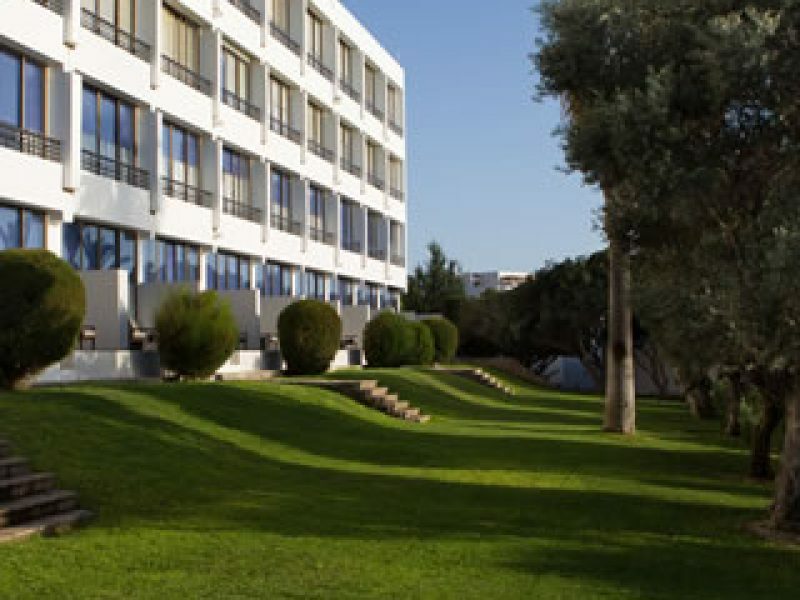 The hotel has 4 restaurants offering international cuisine and local Cypriot dishes. 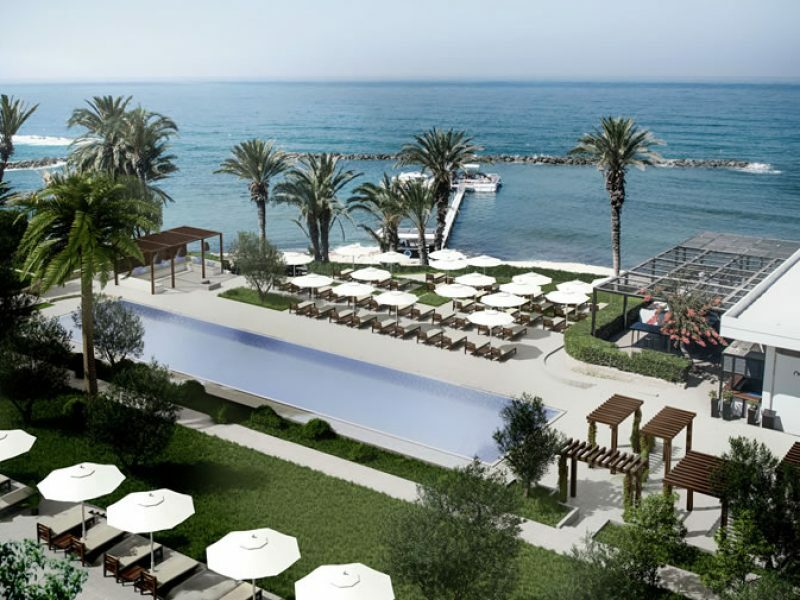 Almyra is located at about 15km from Paphos International Airport. 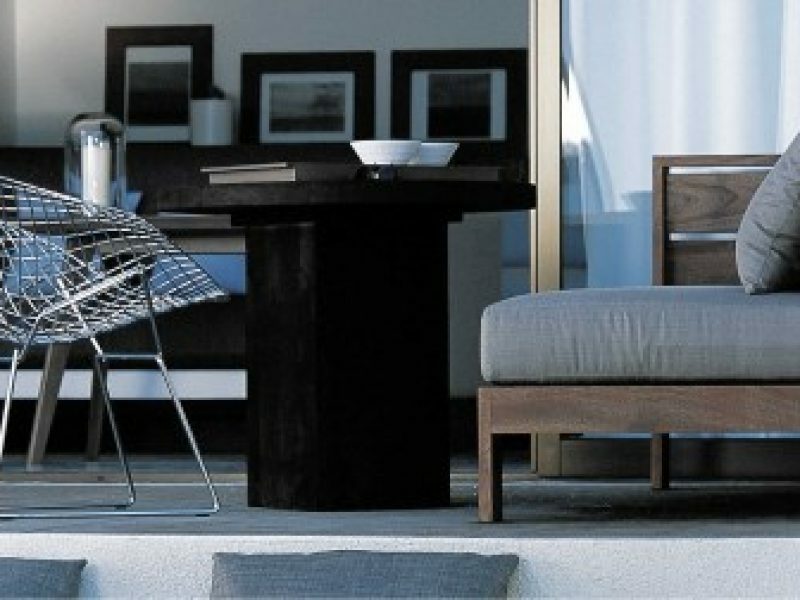 Almyra’s sleek accommodation showcases contemporary luxury paired with sea or garden views. 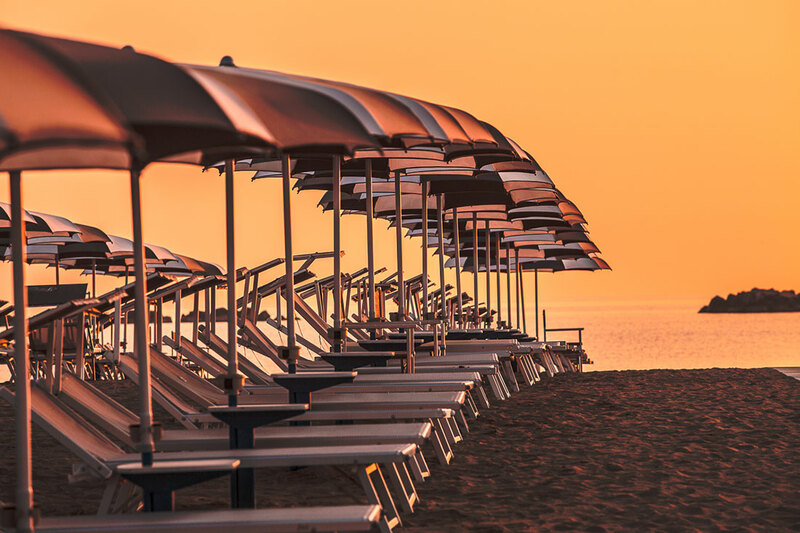 Choose from 187 stylish rooms or suites – or create your own ideal family accommodation from dozens of interconnecting options. All rooms have complimentary Wi-Fi internet access. We also offer a series of carefully selected wines, both Cypriot and international, to best complement the dishes on offer. And there’s always the option of al fresco dining in some rooms, either on your balcony or on your private terrace, even when its in-room. Vegetarian options are available in all restaurants. Five freshwater swimming pools: one indoors; one adults-only; one for infants and two facing the sea. Plus the endless Mediterranean for open-water swimming, including a smooth wave-free zone protected by stone breakwaters. – Eauzone Outdoor Pool (23.5 x 5m, depth 1.5m): open: 08:00-20:00hrs; temperature from 16-26°C (Winter – Summer); no children under 16 yrs. Click on the Book Now tab the top of the page. At time of booking we require a non-refundable deposit per person plus any applicable entry fee. The balance of your travel package must be paid, at the latest, 12 weeks before departure to avoid the cancellation of your trip. Please look here for our full booking conditions. We offer travel insurance for most nationalities. 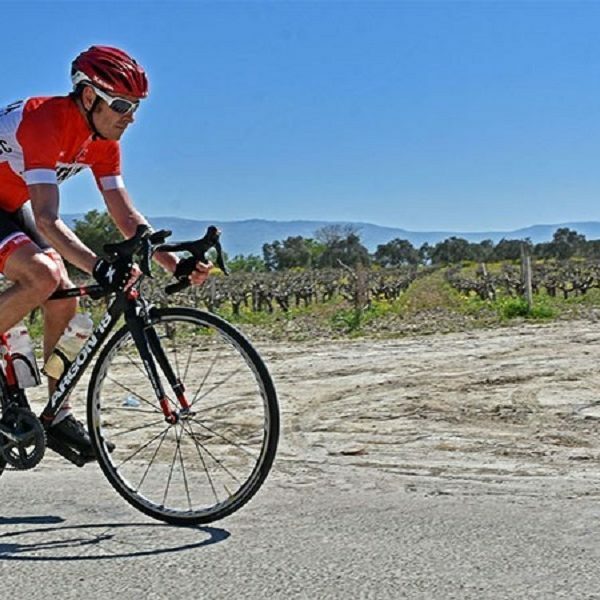 For details of specialist sports travel insurance for our travel packages, please visit our insurance page. 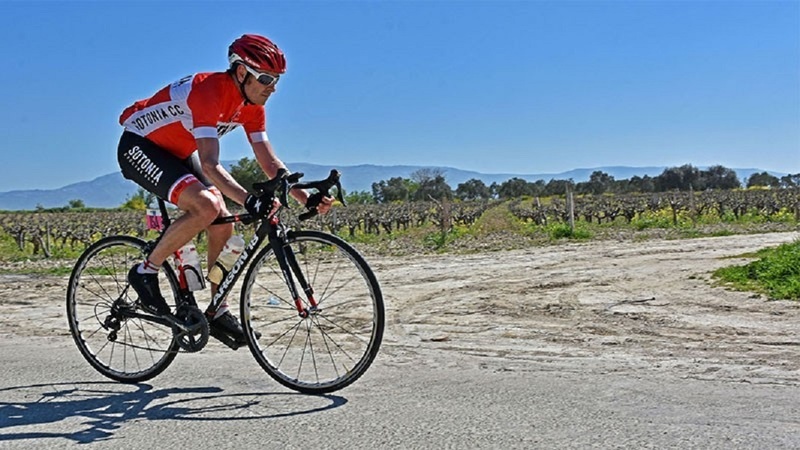 You must ensure that your travel insurance policy covers you to participate in cycling events. There is additional information about our other Concierge Services on our special web page.